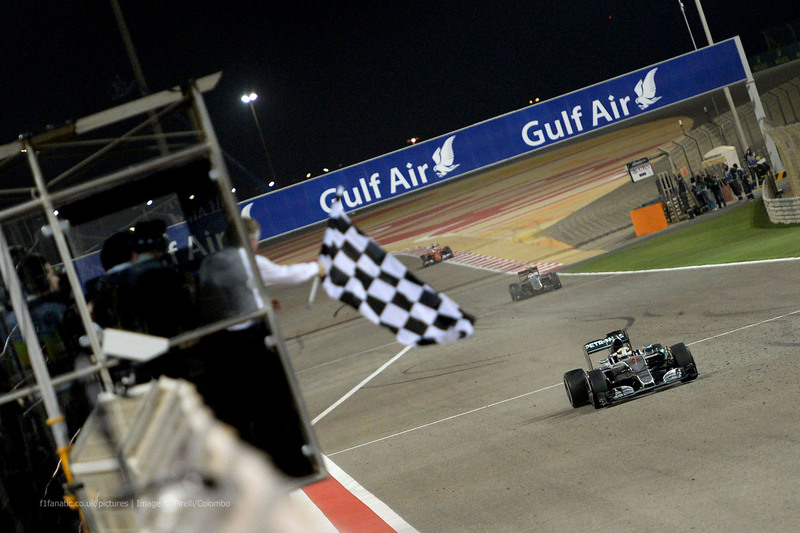 The first night race of the season is just four days away and all eyes will be on Bahrain on Sunday afternoon for the Bahrain Grand Prix. Two weeks on from what was an incredible start to the season in Australia there are still plenty of questions left unanswered as the F1 circus continues its 21 stop tour around the world and the unknowns heading in Bahrain are numerous. Below, you can find four of the most interesting talking points from the upcoming Bahrain Grand Prix. Could Sebastian Vettel have won the Australian Grand Prix if there hadn’t been a red flag? Possibly, and I think Ferrari will be keen to prove that their Australian race pace was no one off. Kimi Raikkonen scored his best result of the season in Bahrain last year, splitting the two Mercedes cars on the podium with a strong second place and he looked set for his fourth podium in two seasons in Australia until the red flag and reliability problems raised their head once again. Raikkonen certainly does seem to experience the lions share of Ferrari’s mechanical gremlins. Ferrari were closer to Mercedes than qualifying results suggested in Australia and with the qualifying system now staying the same for Bahrain (although that’s been done to death so I don’t want to go into that) I guess we’ll see a similar grid line up for the race on Sunday. However, if Vettel and Raikkonen can produce lightning starts for two races on the trot then Hamilton and Rosberg could well find themselves trailing the Ferrari’s by the end of lap one. The jury is out on whether Ferrari’s fast starts were down to the new starting mechanisms or just a little bit of luck in Australia, but I’m sure Mercedes will be wary. Mercedes still look to have the slightly faster package, and if they can stay ahead of Ferrari at the start of the race then I see it being difficult for either Vettel or Raikkonen to overhaul the Silver Arrows. However, if like in Australia Ferrari can jump Mercedes off the line, or even split them like last year in Bahrain then we could be in for another exciting race as the two teams on race pace at least, are very closely matched. If Ferrari can nab Mercedes off the start line then we’re in for a treat on Sunday. Red Bull surprised everybody (even themselves) in Australia with their speed however I suspect we may see them a little further back this weekend. Bahrain is a more power hungry circuit than Albert Park and with Toro Rosso and Williams hot on their heels we can expect a closer fight than we did in Oz for best of the rest. There are some very power hungry circuits between here and the mooted Renault engine upgrade in Canada (Bahrain, China, Russia and Spain), and Toro Rosso and Williams must surely be looking at the next few rounds as opportunities to build a solid bank of points over Red Bull. Kvyat failed to even start the Australian Grand Prix, and a miserable qualifying performance resulting in his early elimination from the session signalled the start of what was a dire weekend for the young Russian in Australia. Kvyat and Ricciardo finished 9th and 6th in Bahrain last year, and a repeat of their 2015 performance in the desert would be a solid result at a track which should be among their weakest of the flyaways. Red Bull should be strong through the twisty, high speed infield sections but they’ll almost certainly suffer on the three long straights. Better weekend for Toro Rosso? On the other side of the Red Bull family, Bahrain should represent a massive opportunity for Toro Rosso. Sainz and Verstappen were undoubtedly quick in Australia and if it wasn’t for a botched strategy call to go out on the supersoft tyres at the restart I’m sure they would have finished around 5th/6th place. The 2015 Ferrari power unit is still faster than Renault’s current one, although I think we can all expect that to change somewhat over the course of the season. Australia was a brilliant opportunity for Toro Rosso to bag some big points on the board and they quite clearly missed out. Score big in Bahrain and their Australian woes will quickly be forgotten, however if they miss a golden opportunity once again, the Red Bull B team will be under serious pressure to bag some big results. In a similar vein, Williams slipped quietly under the radar on just about all accounts in Australia however they could play a much bigger role here in Bahrain. Bottas and Massa finished 4th and 10th in 2015, and despite a poor qualifying for Bottas in Australia they both raced well to take home points. What can we expect from Haas? There’s an awful lot of hype surrounding at Haas at the moment, and Grosjean’s 6th place finish last time out would have done little to stem the steady flow of positive comments and big expectations coming from F1 newest outfit. Sixth was a remarkable result in Australia, but because Haas were caught out in qualifying we’re yet to really establish where their single lap pace lies. My guess is that it’s currently somewhere just outside the top ten, and if so, we could well see Grosjean pick up some more points this weekend. Something which would be an incredible achievement. As for the rest of the field, Button has come out and said that McLaren’s Australia performance wasn’t really reflective of their pace, and I’m inclined to agree. Button was another driver caught out by a poor strategy call at the restart but I can’t see McLaren breaking into the top ten at a circuit where engine power is even more important. I wouldn’t be surprised to see them safely into Q2, but any higher up the grid at the moment is a big ask.